Currently, more than 80,000 chemicals are used to produce many of the common household products we use in the United States. With an estimated 1,500 to 2,000 new chemicals being introduced every year, it’s impossible to completely avoid exposure to these agents. It is, however, possible to cleanse your body of many harmful compounds and create a healthier environment inside your home. Here we’ll explore the various types of toxins that can affect your health, how you’re exposed to them, and how you can reduce that exposure. Toxins are poisonous substances created biologically through living organisms, or synthetically with chemicals. Toxins can come from either outside or inside our bodies. They are known as exogenous and endogenous toxins, respectively. Exogenous toxins consist of any poisons or pollutants that are introduced into the body through air, food, water, or other outside elements. Endogenous toxins consist of by-products that originate inside the body after metabolizing natural bacteria and yeast. The severity of a toxin is measured by its toxicity, or its ability to harm or damage an organ, disrupt an enzyme system, or disturb a biochemical process. Toxins can come from just about anywhere and are either biological or chemical. Biological toxins are found in nature. There are three types of biological toxins, or biotoxins: zootoxins (made by animals), mycotoxins (made by fungi), and phytotoxins (made by plants). Some of the most common sources of toxins are found in everyday products, appliances, and foods. According to The Centers for Disease Control and Prevention, even though outdoor pollution can be highly toxic, growing evidence revealed that most toxins are found in public buildings, offices, and even homes. The home, both inside and out, is host to an abundance of chemical and biological pollutants. These toxins are found in everything from cleansers, floors, and cookware, to certain bacteria and insects that live on mattresses and upholsteries. Electrical devices can emit electromagnetic radiation, and if they break they can poison their immediate environment with toxic metals such as lead, mercury, and arsenic. When you’re in your home, you are in constant contact with floors, doors, cabinets, surfaces, and furniture. All of these household structures are home to varying levels of bacteria. For example, in the kitchen, bacteria from raw meat can be transferred from one surface, object, or food to another, causing cross-contamination — a major cause of foodborne illnesses. The idea of chemical toxins probably stir up thoughts of a garage full of paint cans and other liquid waste. But did you know that chemicals are used to produce plastic and other synthetic materials used to build homes? Paint, carpet, and pressed wood are just a few items that can release health-disrupting chemicals long after they’ve been installed. Here is a list of common chemicals and the products that may contain them. A poor diet and weakened immune system can also result in the overgrowth of a fungus called candida that takes residence in your mouth, gut, and skin. This condition is referred to as candidiasis, or a yeast infection. To support a healthy gut, a change in diet as part of a toxin cleanse will help balance levels of candida. Your body has a comprehensive detoxification system in which the immune system, respiratory system, skin, intestines, kidneys, and liver all work together. Your skin and respiratory system are the first defense to harmful toxins and chemicals. Once a toxic chemical or biotoxin makes it past these first two body defenses, your immune system takes over. After a filtering and metabolizing process, toxins are expelled from the body as waste. Over time, the buildup of toxins can make it increasingly difficult for your immune system to work properly. Cleansing your body is a natural way to help it rid itself of toxins, optimizing its ability to defend itself. Cleanses have been performed for centuries. Indigenous Americans often cleansed using methods like fasting and sweathouses to purge the body of unhealthy substances. Although effective, these methods lost popularity with the development of modern medical techniques. 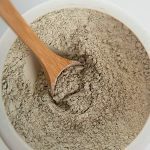 It wasn’t until recently that society started adopting these older, more organic practices like fasting and herbal cleansing as a more organic way to detoxify, lose weight, and stay healthy, without the use of harsh medicines. If fasting or a sweathouse isn’t for you, flushing toxins from your body by performing a natural cleanse is a refreshing way to bring back a healthier you on the inside. Fewer toxins in your body will also result in higher energy levels. There are a number of cleanses you can try. Most last between three to seven days. The first thing to tackle when starting a cleanse is to rid your home environment of harmful toxins — both chemical and biological. Avoid the microwave, and reduce your use of electronics. Clean the floors, beds, and upholsteries. Use a wet cloth to wipe up dust instead of sweeping, which can spread dust particles into the air and throughout the house. 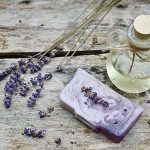 Make your own natural cleaning products. A mixture of distilled or purified water, lemon, peppermint, and vinegar makes a nice, natural disinfectant. 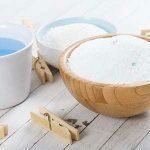 Mixing baking soda with water and lemon acts as a good disinfecting scrub. Replace cosmetics and hygiene products with organic versions. For example, coconut oil is a nice substitute for skin and hair care products. 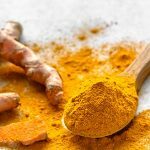 Adding herbs and spices like dandelion, cilantro, eucalyptus, alfalfa leaf, peppermint, organic milk thistle, and organic gum acacia are a great way to season your meals and will be beneficial for a healthier cleanse. It is extremely important to stay hydrated during a cleanse. Drink purified or distilled water instead of tap water. To add taste and nutrients, mix two tablespoons of raw, organic apple cider vinegar (ACV) into a gallon of distilled water and shake thoroughly. Performing a cleanse using natural organic supplements is a great way to ensure success. 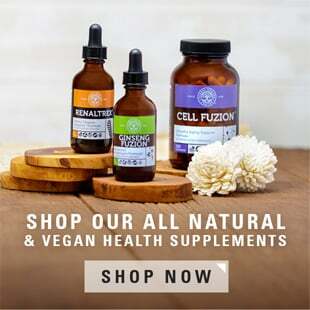 Some supplements are even grouped together in kits that are specifically designed to target certain organs. These kits include Global Healing Center’s own Kidney Cleanse Kit, Liver Cleanse Kit, and Harmful Organism Cleanse Kit™. Exercising during a detox or cleanse is a great way to help the body push out toxins and waste, especially if you break a sweat. An hour of exercise a day, which can be broken up into two 30-minute sessions, is ideal. As an added benefit, studies have shown that short bursts of high-intensity training during a detox diet may support weight loss and cardiovascular health. The following menu should keep your cleanse on the right track. Be sure to consume distilled or purified water throughout the day. This meal should consist of a small bowl of your choice of fruit and a 12-ounce glass of the ACV water mix. For a mid-morning or afternoon snack, grab a handful of nuts and seeds along with a 12-ounce glass of ACV water mix or a cup of green tea. To avoid unnecessary fat or sodium, make sure nuts and seeds are not oiled or salted. Lunch should consist of vegetables. Try blending some of your favorite veggies and add some lemon juice for a veggie smoothie. A homemade soup using vegetables, herbs, and spices boiled together in purified water is also beneficial. This meal can be the same as lunch, or you can choose to fast using just the ACV water mixture. You can also choose a small vegetable or leafy salad with a sprinkling of extra virgin olive oil. What Kind of Cleanse Is Right for You? Review your goals with your healthcare provider to determine which toxin cleanse is best for you. It’s also a good idea to speak with them if you have any special dietary needs. Do not use laxatives during a cleanse, or in place of a cleanse. If you’re used to an unhealthy diet full of processed food, it’s best to approach a cleanse by easing into a healthier, organic diet. How often you should cleanse is best decided by you and your healthcare provider. Many people have seen high success from performing series of liver and colon cleanses throughout the year. Growing attention to toxic chemical exposure and environmental health sciences continues to inspire extensive research by scientists as well as governments. This interest has prompted the medical and scientific communities to report on the impact of environmental toxins on human health. 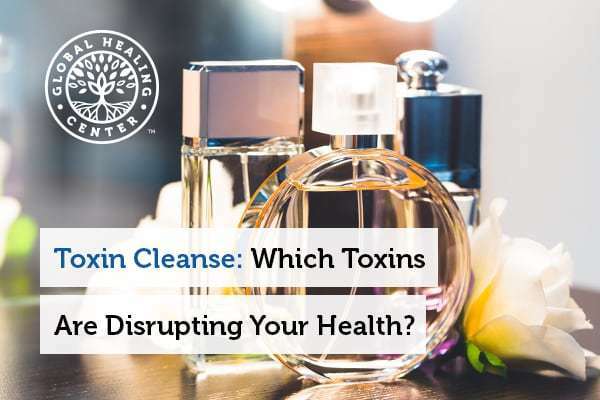 Knowing how toxins affect our bodies and environment will help us discover new ways to cleanse and improve our quality of life. Have you ever done a cleanse? What kind was it? What diet did you follow? We’d love to hear from you. Tell us about your experience in the comments section below. Allen J, et al. "Detoxification in naturopathic medicine: a survey." J Altern Complement Med. 17 Dec. 2011(12); 1175–1180. Accessed 28 Nov. 2017. Boyles S, et al. "What do I do if mycotoxins are present?" Department of Animal Sciences. Ohio State University. Osu.edu. Accessed 28 Nov. 2017. Sack T, et al. "A survey of household products for volatile organic compounds." Harvard University. harvard.edu. Atmospheric Environment Part A, General Topics. 1992;26(6), 1063-1070. Accessed 28 Nov. 2017. "What You Know Can Help You - An Introduction to Toxic Substances." New York State Department of Health. Health.ny.gov. Accessed 28 Nov. 2017. "Chapter 5: indoor air pollutants and toxic materials." Centers for Disease Control and Prevention. cdc.gov. Rev. 8 Dec. 2009. Accessed 28 Nov. 2017. Roeder A. "Harmful, untested chemicals rife in personal care products." Harvard University. harvard.edu. 13 Feb. 2014. Accessed 28 Nov. 2017. Wolfson M, et al. "Challenges and opportunities in creating healthy homes: helping consumers make informed decisions." Harvard Joint Center for Home Studies. harvard.edu. 2016. Accessed 28 Nov. 2017. "Allergic rhinitis: Your nose knows." Harvard Medical School. Harvard Health Publishing. Harvard.edu.com. May 2009. Accessed 28 Nov. 2017. Jaishankar M, et al. "Toxicity, mechanism and health effects of some heavy metals." Interdiscip Toxicol. Jun. 2014;7(2), 60–72. Accessed 28 Nov. 2017. "Formaldehyde." United States Environmental Protection Agency. Epa.gov. Accessed 28 Nov. 2017. "What are Teflon and PFOA? Where are they found?" American Cancer Society. cancer.org. Rev. 5 Jan. 2016. Accessed 28 Nov. 2017. Mukkanna K, et al. "Para-phenylenediamine allergy: current perspectives on diagnosis and management." J Asthma Allergy. 2017;10, 9–15. Accessed 29 Nov. 2017. Wijenayake A, et al. "The role of herbometallic preparations in traditional medicine--a review on mica drug processing and pharmaceutical applications." J Ethnopharmacol. 11 Sep. 2014;155(2), 1001-1010. Accessed 29 Nov. 2017. "Household Products Database: Health & Safety Information of Household Products - Methylcellulose." U.S. Department of Health and Human Services. Sept. 2017. Accessed 29 Nov. 2017. "Household Products Database: Health and Safety Information on Household Products. Aluminum." U.S. Department of Health and Human Services. Sept. 2017. Accessed 29 Nov. 2017. "Medical management guidelines for sodium hydroxide (NaOH)." Centers for Disease Control. cdc.gov. Accessed 29 Nov. 2017. "Indoor environmental quality." Centers for Disease Control. NIOSH. cdc.gov. Rev. 3 Nov. 2015. Accessed 29 Nov. 2017. "Taking an Exposure History: Which Organ Systems Are Affected By Toxic Exposure(s)?" Agency for Toxic Substances & Disease Registry. Environmental Health and Medicine Education. atsdr.cdc.gov. 5 Jun. 2017. Accessed 29 Nov. 2017. Charuchandra S. "Combating Candida Albicans." Harvard University. Harvard.edu. 27 June 2017. Accessed 29 Nov. 2017. "The dubious practice of detox." Harvard University. Harvard.edu. May 2008. Accessed 29 Nov. 2017. 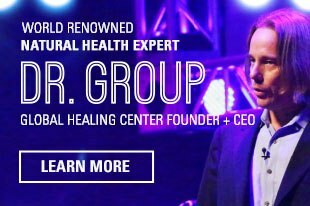 "Native American Healing uses mind and body techniques to increase vitality." Indians.org. Accessed 29 Nov. 2017. Obert J, et al. "Popular weight loss strategies: a review of four weight loss techniques." Curr Gastroenterol Rep. 9 Nov. 2017;19(12), 61. Accessed 30 Nov. 2017. Bulletin M. "How to Effectively Remove Toxins from the Body." Philippine Council for Health Research and Development. pchrd.dost.gov. 11 Feb. 2014. Accessed 30 Nov. 2017. "Naturopathy." U.S. Department of Health and Human Services. Nccih.nih.gov. 24 Sept. 2017. Accessed 30 Nov. 2017.